I first started experimenting with fabric collage back in February, when we were revising a little show about Ananse the spider for the Shakespeare Theater’s Happenings series. 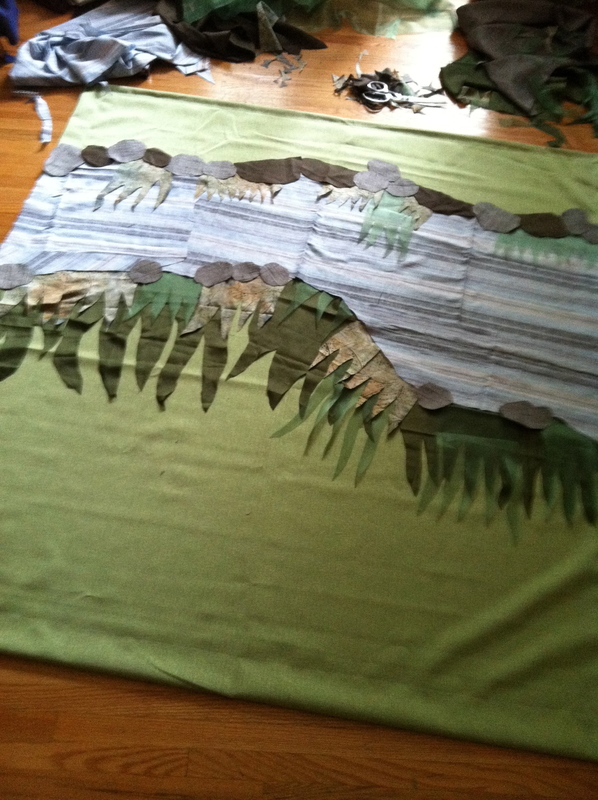 I sewed that backdrop very late one night with a stubborn sewing machine, so it was simple and quick to create. Now I am again working on the Ananse show (new title: Ananse’s Appetite) and I decided to make a new backdrop, to add to the first one. Here it is, all pinned and ready to be subdued with the sewing machine, which will hopefully be a bit less stubborn this time around.